I’ve been writing about my life since age 10, when I started keeping a diary. I’ve been making comics about my life since age 11…when I started keeping a diary in words and pictures. I put entries into that almost every day, for about fifteen years. So when it came time to create my first full-length graphic novel, choosing to write about my own life was a natural decision. 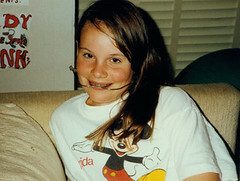 Smile is about knocking out my two front teeth just as I was hitting puberty, as well as entering middle school. 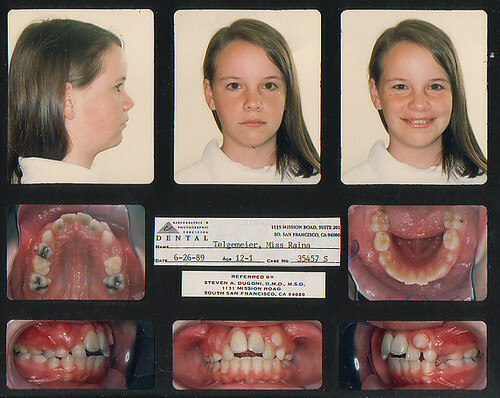 I had to go through years of orthodontic treatment: braces, headgear, false teeth, and lots of surgeries in order to have a normal-looking smile again. The experience had an enormous impact on me, and years later, I was still thinking about it. So I decided to put the whole thing down on paper. 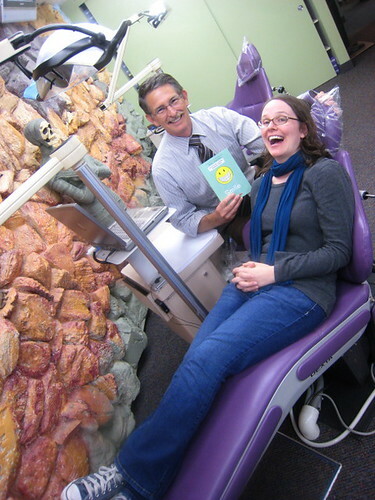 Readers are introduced to me, my family members, and my dentists. I show my house, my family’s car, my dentist’s waiting room as best as I remember. As the story unfolds, more people and elements from my life are introduced: teachers, friends, boys, enemies. And of course, these are all based on real people! I changed a few of their names, and in the case of a couple of my friends, changed or combined some of their appearances. (By which I mean, the physical appearance of one friend merged with the personality of another.) It was a difficult time in my life: my new dental deformities made me terribly shy and self-conscious, and my so-called friends loved to pick on me. In the end, their teasing got bad enough that I had to ditch them altogether, and find new friends to hang out with. It makes for a nice reading experience, seeing my character grow in confidence enough to finally stand up for herself…but the people in the story are still real. 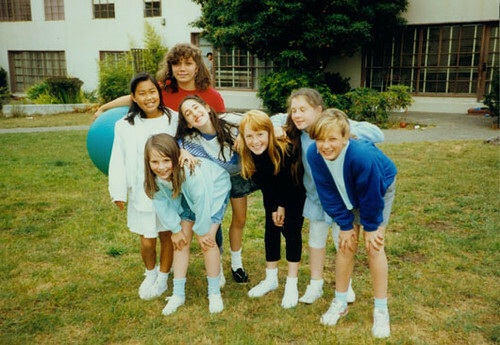 The girls who bullied me are real. They are still around, and in some cases, we are even still internet friends! My readers always want to know if I’ve been contacted by any former “frienemies.” For a while, if these people realized they were the ones cast as mean girls in the story, they didn’t say anything. Recently I have been in touch with some of the people who mistreated me all those years ago, and in one case, I received an apology. Even though I’ve ‘gotten over’ most of the events in my past, it was a really amazing moment of closure. I forgave her right away. I got the sense she had been hanging on to her old baggage as well, and I hope that now the air is clear. Another person who tracked me down is my old orthodontist, “Dr. Dragoni” (not too far off from his real name). I drew him the way he looks, and I drew his office the way it still looks to this day. He’s still in practice, and I guess his patients (who are all the perfect age to be reading my books!) discovered Smile on their own, and brought it to his attention. He was thrilled to see himself in my story, to say the least! He remembered me well: my orthodontic case was so extreme, he actually once presented my treatment at a dental conference. I remember him as being sort of a horrible guy (part of my motivation for the name change), but when I met up with him again after Smile was published, he couldn’t have been nicer. Turns out my perception was based on the fact that he was always sticking painful metal objects in my mouth and making me look funny! He was probably very nice and caring at the time. I just don’t remember it that way. So, always take memoirs and real-life stories with a grain of salt. The author’s memories are their own, and don’t always match up with the memories of everyone else who was there. Still, I’d argue that emotions are as true as fact. I remember exactly how I felt when I knocked out my two front teeth, and if I can relay those emotions as honestly as possible in my stories, then they are true stories. Even in fiction, stories can feel completely true! This essay was originally posted on Inside A Dog. Copyright Raina Telgemeier. Post a comment on my Facebook page!